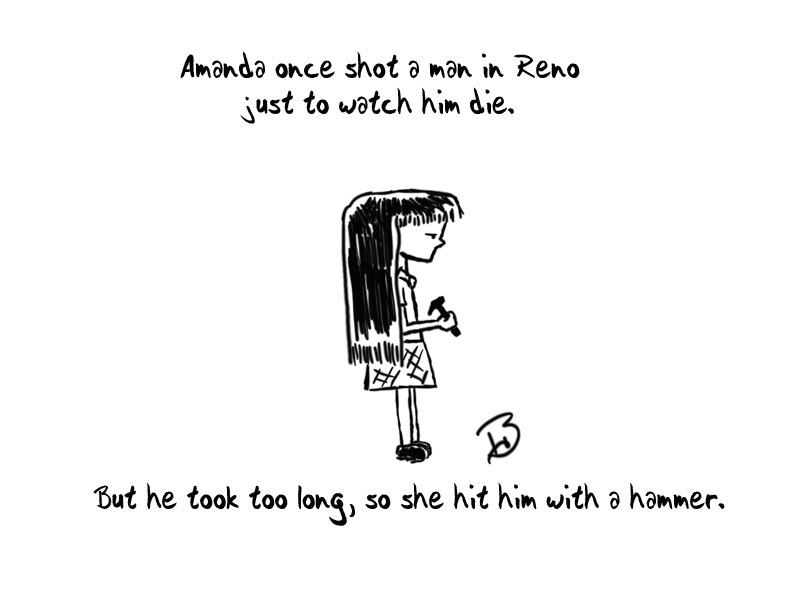 This entry was posted in Amanda, Comic on September 4, 2013 by Casual Notice. So, for the past week or so, I’ve been doodling Amanda on the white board in my garage. Bunnyhat suggested that I go ahead and post the cartoons on the site, so I’ll be doing that when I feel like it until I no longer care enough. Yes, I know there is nothing original or game-changing about a single-panel doodle of a tiny girl with stringy hair. I don’t care. 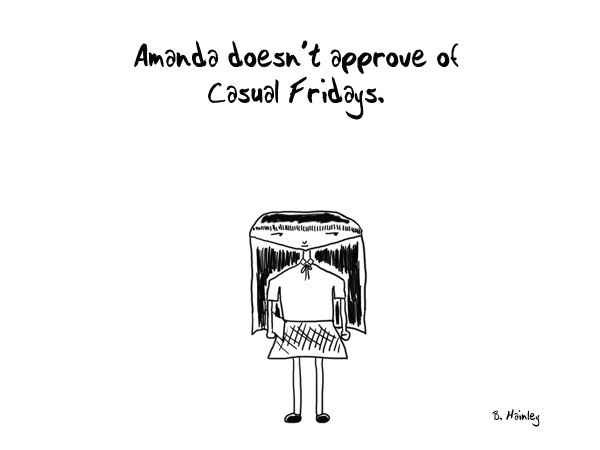 This entry was posted in Amanda on September 1, 2013 by Casual Notice.